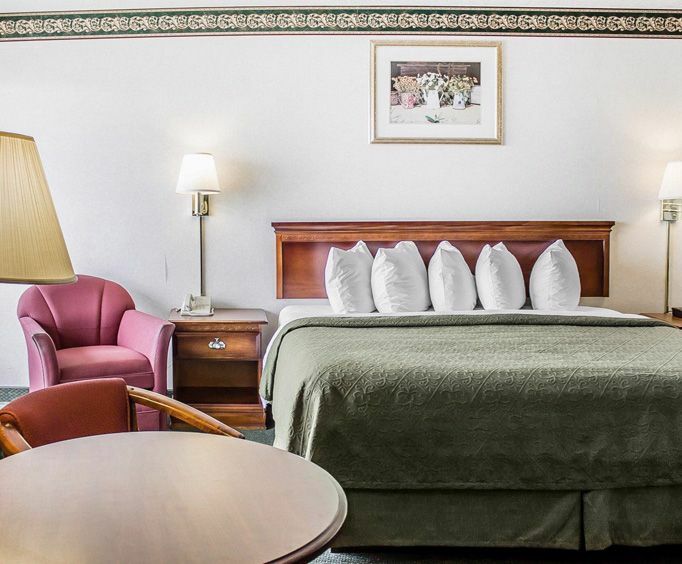 Come visit the Quality Inn Lakefront in beautiful lake side Saint Ignace, Michigan, located conveniently off interstate 75. 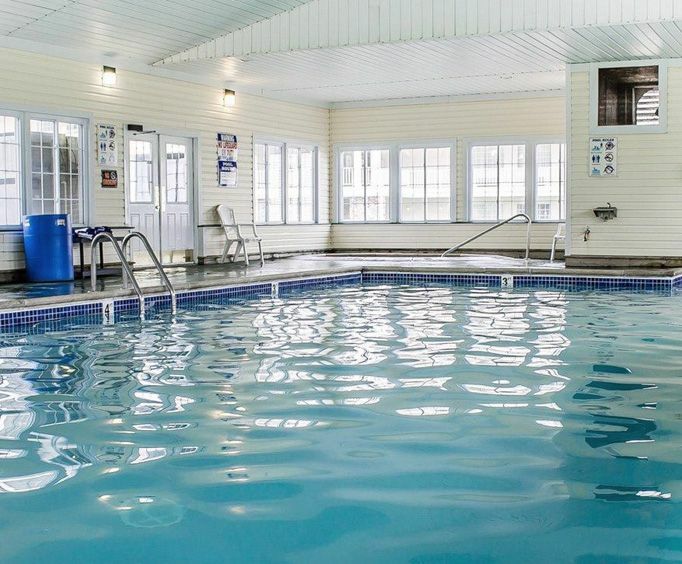 Feel at home with the various amenities offered at Quality Inn Lakefront. Take a dip in our luxurious indoor swimming pool and hot tub/whirlpool and wake up to our delicious free continental breakfast. Our lakefront inn has its own private beach for guests to enjoy at their own leisure and courtesy transportation to surrounding areas. One popular destination in the area is beautiful Mackinac State Park, located just off coast on Mackinac Island. 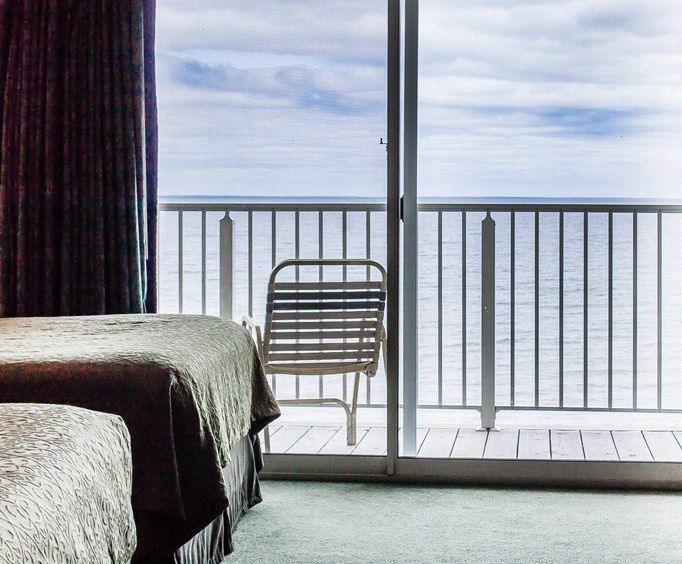 Watch the sun rise above Lake Huron while taking a lovely stroll along our private beach. Later, come back in and get a free continental breakfast so you have energy for all the fun things available. Once you you•re done with your day, feel free to have a nice relaxing swim in our indoor pool or unwind in our soothing hot tub. At this Quality Inn, rooms will come equipped with a cable television with pay-per-view availability. Need something to get you going in the morning? Each room comes with its own coffee maker, refrigerator, and iron and ironing board. Phones are provided as well, each room has free local calling as and free high speed internet. Shoppers will find they have access to Mackinaw Crossings, just a short drive across the bay. Feeling hungry? Get a bite to eat at a delicious local restaurant. There's Jose's Cantina, less than a mile away. There's also Pizza Builders, Driftwood Restaurant and Sports Bar, and The Galley Restaurant; all located just a mile away.